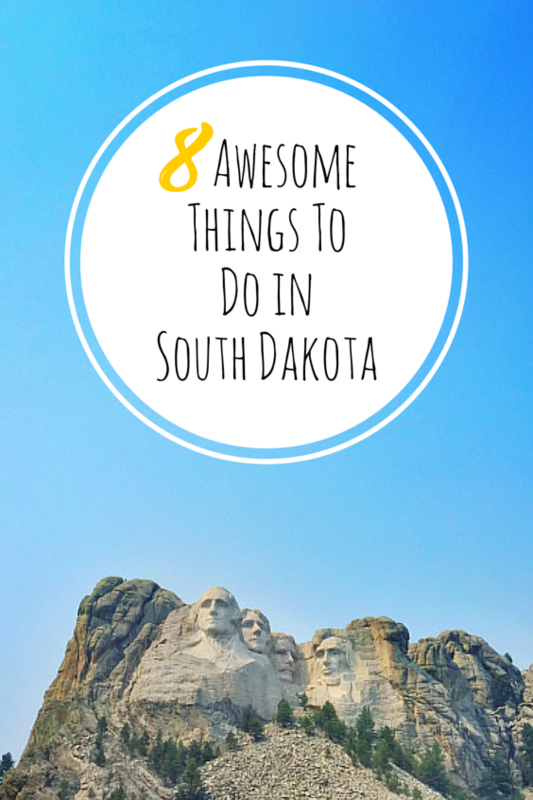 South Dakota doesn’t get its due credit as one of America’s most interesting and worthy-of-your-vacation days states. 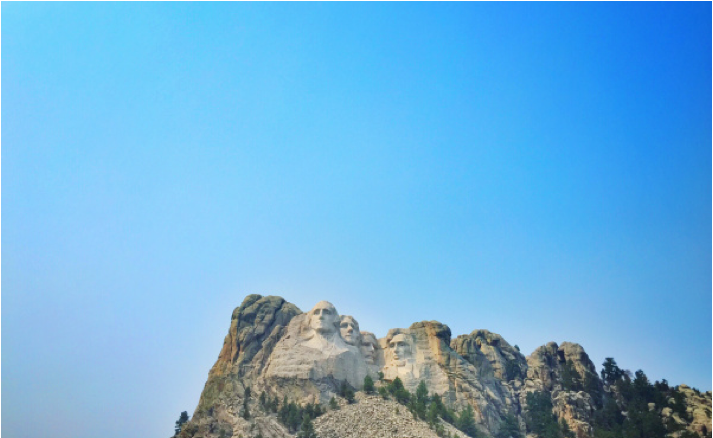 So in case the only thing you know about the Mount Rushmore state is how it looks from 30,000 feet (as you travel from one major American city to another) here are eight awesome things to do in South Dakota that you shouldn’t miss while exploring the state. When you think of America’s most famous wild west stories, chances are they took place in South Dakota, and more specifically, the town of Deadwood. 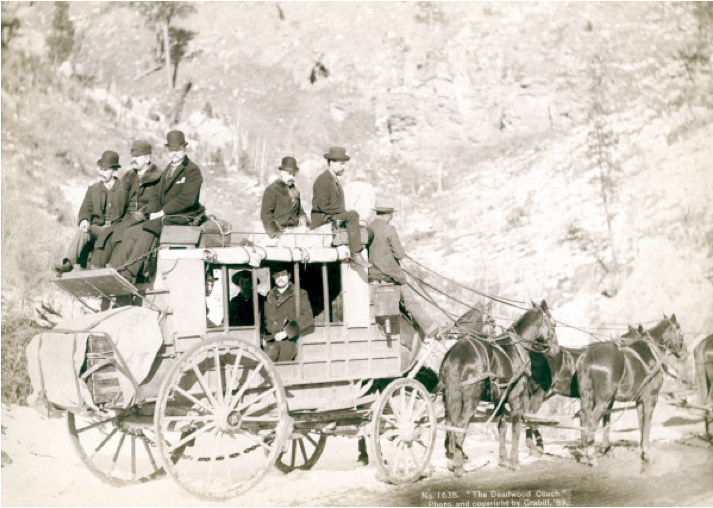 Home to a massive gold rush in 1876, Deadwood was illegally settled (on land that was granted to the Lakota Indians) by thousands of prospectors hoping to cash in on the huge deposits of gold found in surrounding hills. With this influx of tough frontiersmen and women, general lawlessness prevailed and saloons, brothels, gambling and gun fights became commonplace. Plus, some of America’s most famous western figures, like Army scout Calamity Jane, Deadwood Sheriff Seth Bullock, and gunman, lawman and gambler Wild Bill Hickok, who was shot in the back of the head while playing poker, all called Deadwood home (and all are buried in Deadwood’s Mount Moriah Cemetery). If you consider yourself a craft beer aficionado and a lover of all things beer, but haven’t heard of the malty and hoppy goodness being produced between the Black Hills of the state’s west and the grassy prairies of the state’s east, don’t question your craft beer fandom, it’s not your fault. After all, there’s only one South Dakota brewery that distributes their beer outside of state lines, and a total of two that can their beer for consumption outside of the pub (the second started canning just last week). 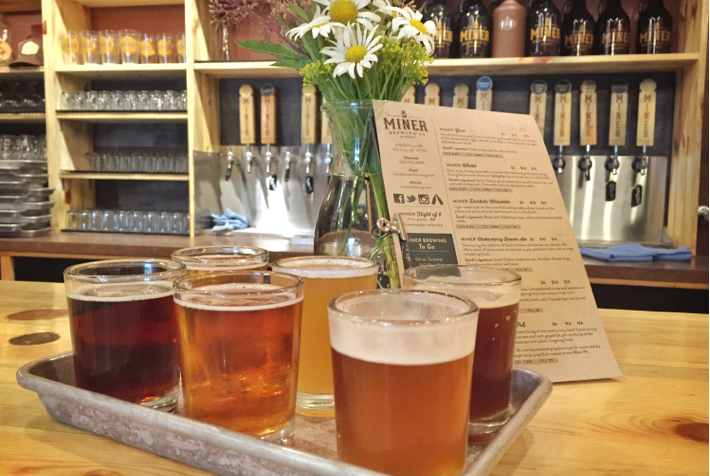 But don’t be fooled, the craft beer scene in South Dakota is growing. And unlike in craft beer pilgrimage-worthy states like Colorado, California, Oregon, Vermont, Montana and Michigan where it’s near impossible to imagine craft beer getting any more popular, South Dakota’s craft beer scene is, comparatively, just catching fire and finding its footing. A trip to South Dakota wouldn’t be complete without a day or more spent in Custer State Park, an expansive 71,000 acre preserve in the state’s Black Hills. 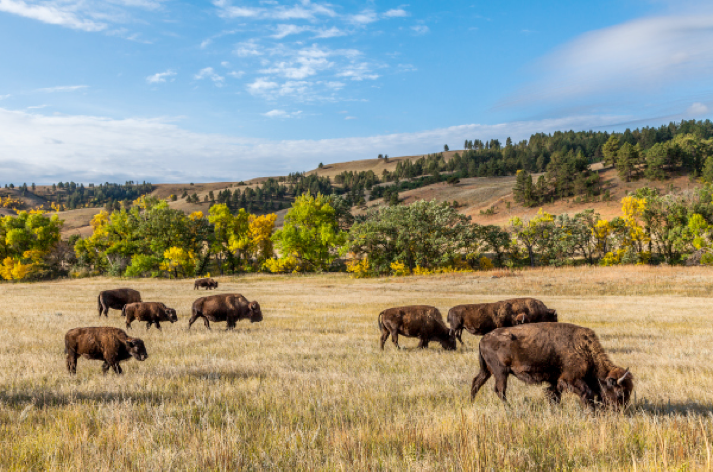 Jam packed with granite spires, rivers, lakes and wildlife, Custer State Park is perhaps best known for its herd of roughly 1,300 buffalo. While the wild buffalo can easily be spotted throughout the park, the annual buffalo roundup, held at the end of every September to manage the size of the herd, is the park’s main event (2015 marks the roundup’s 50th year). But Custer State Park is way more than the roundup, it’s also home to some incredible hikes, including a vigorous 7-mile (round trip) hike that leads to Harney Peak, the state’s highest point at 7,244 feet elevation. Pro Tip: Take the extra time and enter the park via the scenic Needles Highway, whose winding roads will take you through some precariously narrow tunnels and put the park’s beauty on full display. 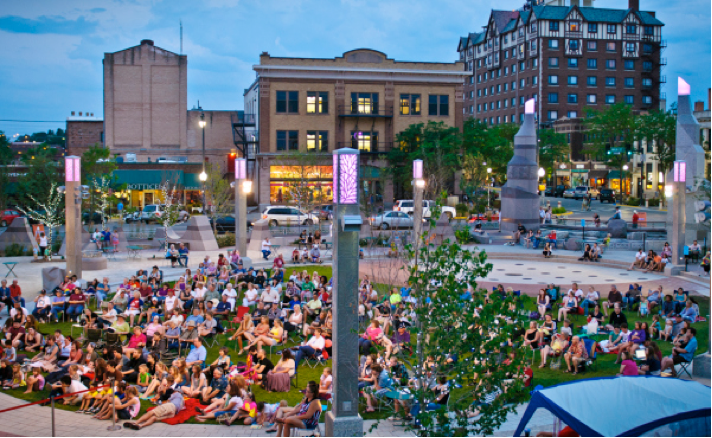 Downtown Rapid City is full of surprises — firstly that a small city of approximately 71,000 people even has such a cool little downtown. As you stroll the handful of blocks that make up downtown Rapid City, the first thing you’re likely to notice is that every street corner has a life-size, bronze statue of a past U.S. President — and all are represented, from George Washington to George W. Bush. After high-fiving Jimmy Carter, walk down Art Alley, a vibrant and colorful alleyway covered in street art that stands in playful contrast to the rest of downtown Rapid City’s classic appeal. Then, after perusing the art galleries, boutiques, gift shops and restaurants, take a load off at Main Street Square, a beautiful public gathering place where over 150 events are held each year, including concerts in the summer and ice skating in the winter. Driving west from Rapid City towards Badland’s National Park along I-90, you will start to lose track of how many signs you see advertising Wall Drug. This famous roadside attraction, which entices well over a million travelers per year to make a pit stop in Wall (a town of just over 800 people), wasn’t always the South Dakota institution and collection of oddities that it is today. Founded in 1931 as a tiny storefront pharmacy by Dorothy and Ted Hustead, Wall Drug’s struggling business began to skyrocket when Dorothy came up with the idea to offer and advertise (with signs along the highway) free ice water to weary travelers passing through the hot and dusty prairie. 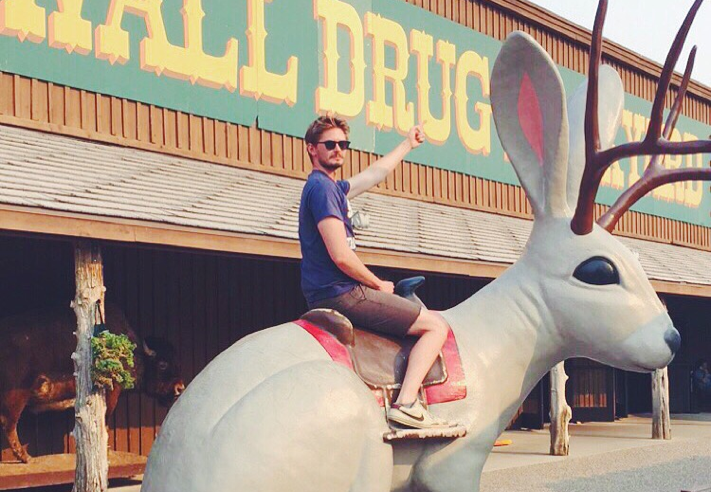 Fast forward to today and Wall Drug is run by Dorothy and Ted’s grandson and takes up well over a city block. Inside, you’ll find several stores-within-a-store selling western apparel, Native American artwork and gifts, a restaurant and cafe serving up homemade ice cream and doughnuts, an arcade, a chapel, an animatronic T-Rex, a piano-playing gorilla, a six-foot tall jackalope, and countless other oddball attractions providing endless photo opportunities. In case you’re wondering, there’s still a pharmacy inside and they still serve free ice water to thirsty travelers. Want to feel like you’re on the surface of Mars? 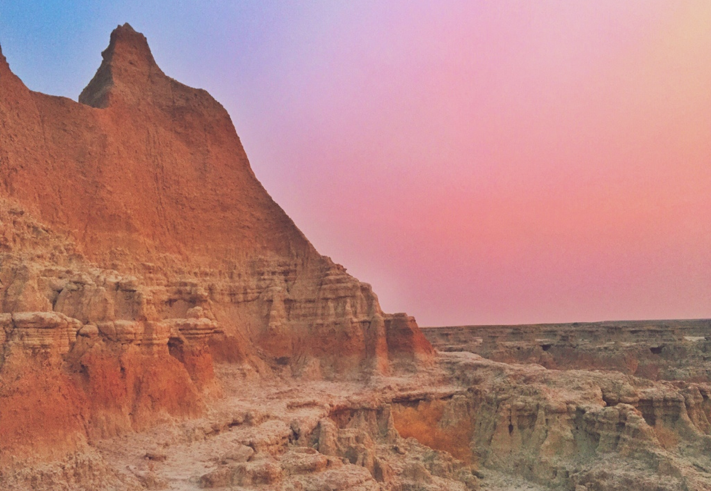 Just visit Badlands National Park at sunrise. Once the floor of a shallow sea (65 millions years ago), the Badlands have been subjected to, and shaped by, tens of millions of years of harsh, drastic and ever-changing elements. This earthly assault has crafted a starkly beautiful and otherworldly landscape, which includes the 244,000 acre park’s signature spires and pinnacles that are layered in shades of brown and red rock and provide a cross section of the planet’s history. In addition to unique rock formations, keep your eyes peeled for prairie dogs and North America’s most endangered mammal, the black footed ferret. Pro Tip: For fantastic sunrise viewing, check out the easily accessible Door Trail. For a more challenging late morning Badlands jaunt, hike the 4.2 mile Medicine Root/Castle Trail Loop. After scrambling up a small mountainside from the parking lot (a feat that keeps many visitors away), this trail is mostly flat trail lined with wild sunflowers in the late summer. Imagine, if you can, a thick, puffy, crisy and doughnuty-like piece of bread the size of a dinner plate. This is frybread and it’s the official bread of South Dakota. 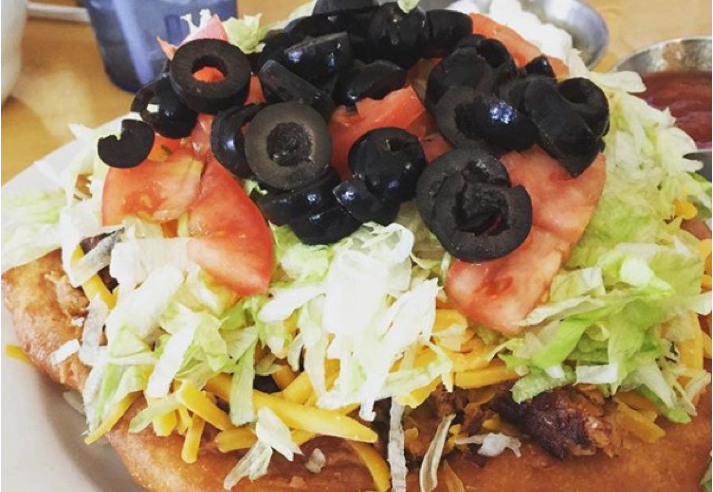 Now imagine that mouthwatering goodness topped with mountains of all your favorite taco toppings like lettuce, tomato, olives, shredded cheese, beans, salsa, sour cream, and of course, ground meat (beef or bison). This magical creation is a Sioux Indian Taco. And while it’s a favorite State Fair food that you can find here and there throughout the state, the mother of all Sioux Indian Tacos (we’re talking largest, cheesiest and meatiest) should be eaten post-hike at the restaurant at Cedar Pass Lodge, which is located right in Badlands National Park, not far from the Medicine Root/Castle Trail Loop mentioned above. First things first, Mount Rushmore is located in South Dakota (you’d be surprised by how many people don’t know this). And don’t listen to people who’ve been and say that Mount Rushmore is smaller than expected or that you can’t get as close as you think you can (blame the gigantic, zoomed-in images of the iconic monument that most people are familiar with). Mount Rushmore is beyond impressive, both in size and in the tenacity and skill it took to complete — especially considering carving started in 1927 and took 14 years to finish. Pro Tip: If your budget allows, catch your first glimpse of Mount Rushmore from the sky with Black Hills Aerial Adventures.